My new office provided me with an unexpected – but fascinating – front seat at the Polar Vortex. 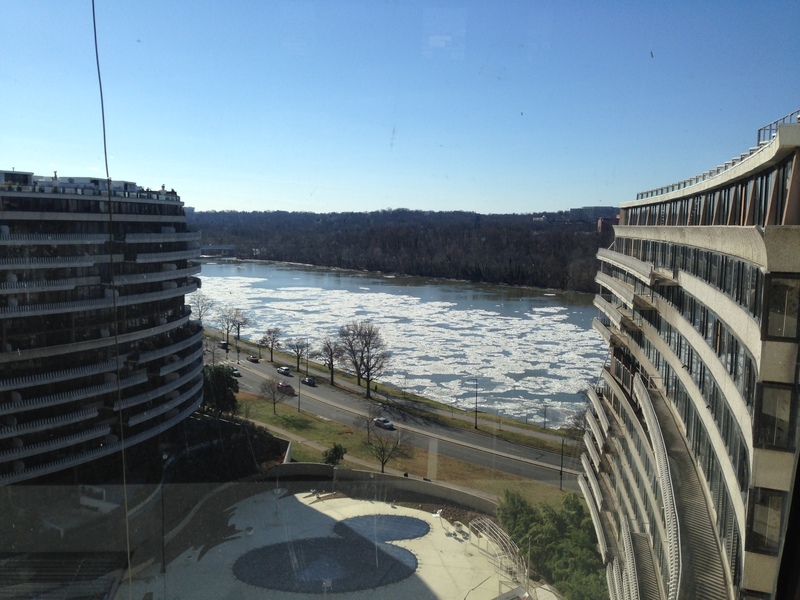 One thing I love about our new offices at the Watergate Office Building is that we have a terrific view of the Potomac River. When I arrived yesterday morning (Tuesday, January 7th), I initially recovered from the 4 degree temperature and then looked out my window. Surprise! 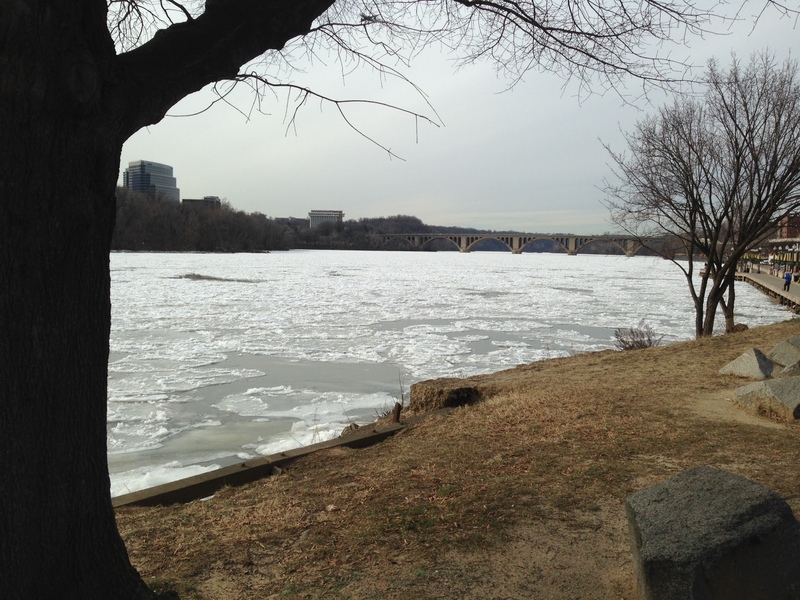 I had not thought about how the river would respond to the cold weather, but I saw ice beginning to form. I made a mental note to check back frequently. The first picture – shown at the top of the post – was taken in the late morning on Tuesday from my office window. 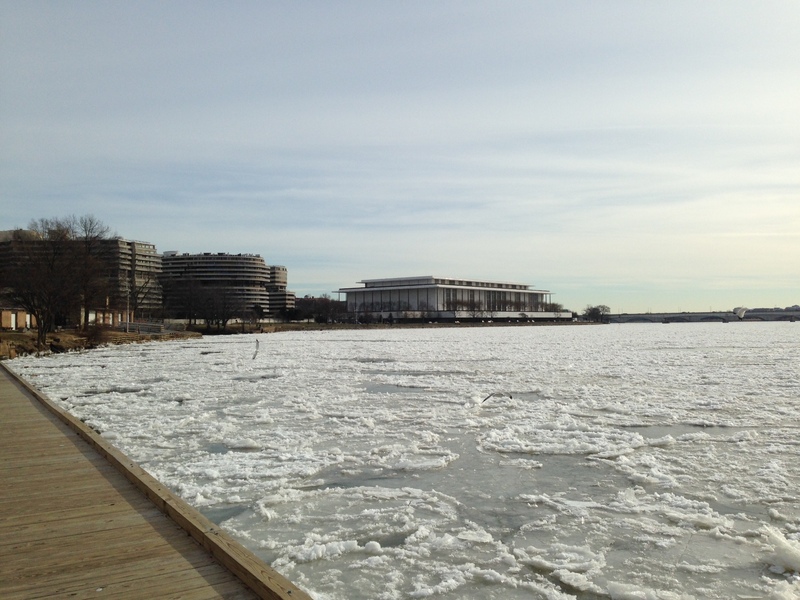 As you can see, ice patches were already forming across the entire span of the river. Late in the afternoon, I took the next picture from the same vantage point. While it is difficult to see, a full sheet was quickly forming. Since I knew the temperatures were not rising above the freezing point overnight, I made a mental note to check the river again the following morning. 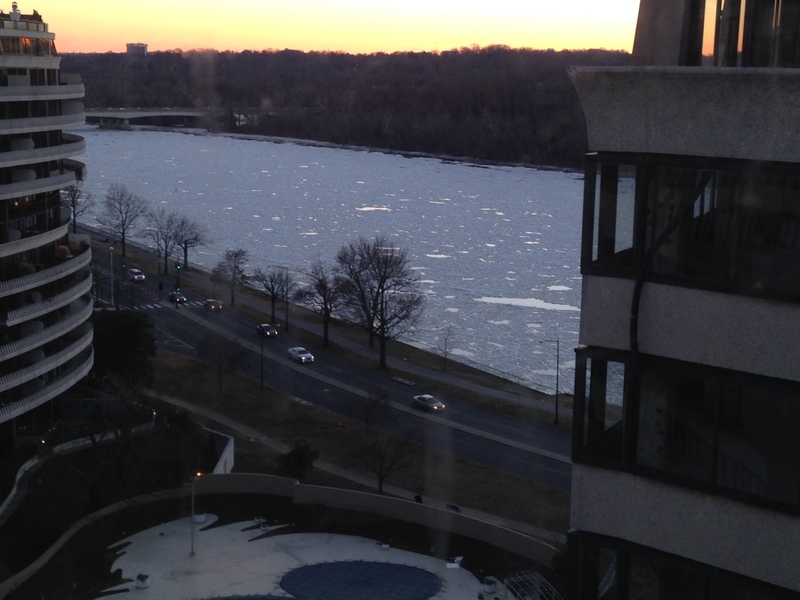 So just after arriving this morning, I took the following photo, showing a full sheet of ice across the Potomac. This was fascinating. 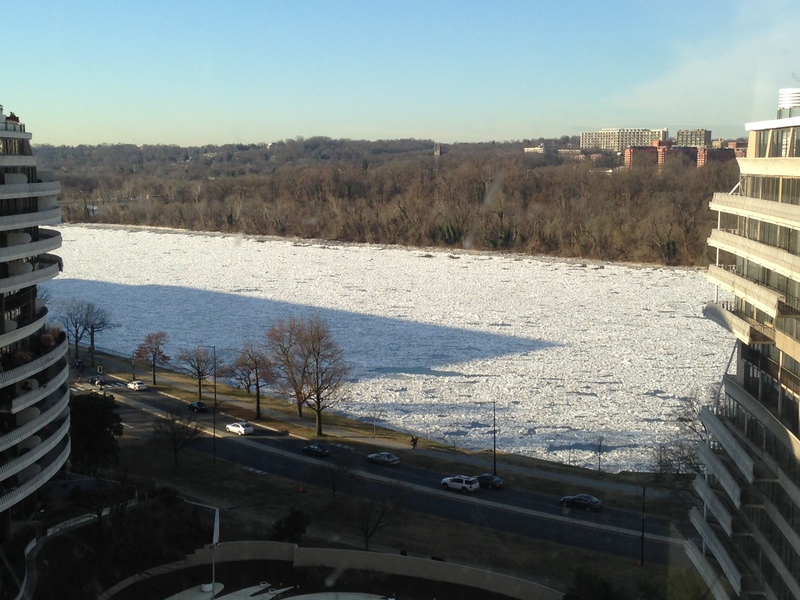 I don’t ever recall seeing a major river freeze over – and certainly not in less than 24 hours. So at lunch, I headed out to the river’s edge along Georgetown, and took the following two pictures – the first looking at the Key Bridge and the second looking back at the Watergate and the Kennedy Center. It is great being so close to such a wonderful part of nature as the Potomac. I’m grateful I had the chance to see this overnight transformation. Of course, I had a much more typical front seat view of the Polar Vortex when I arrived home this evening and found a broken water pipe in our garage. Oh well. Take the good with the bad. Previous PostJust What is the BBVA Compass Bowl?